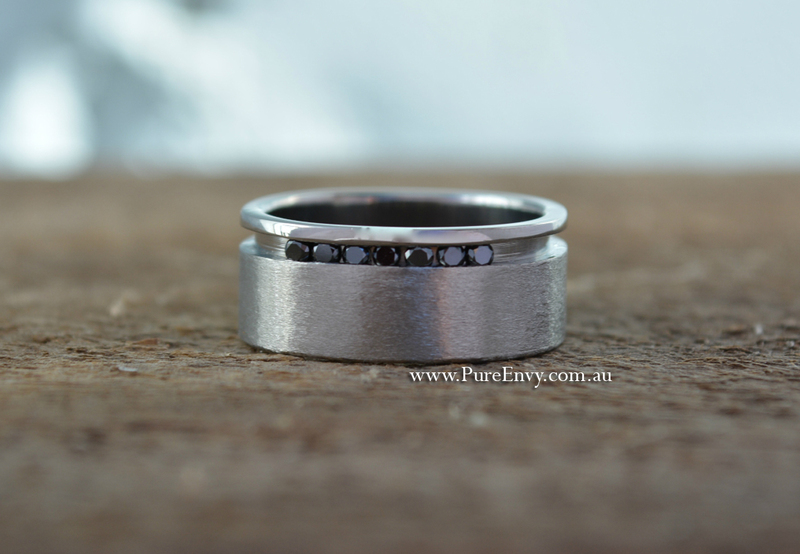 This Titanium cushion shaped band has the added uniqueness of Round Black Diamonds. This ring is one for the guy after something modern and extra special. With it’s masculine grey tones and the subtle bling of black diamonds this will certainly get many comments. Also available with White Diamonds and in White, Rose or Yellow Gold and Platinum. Pictured: Titanium with Black Diamonds in 9mm.